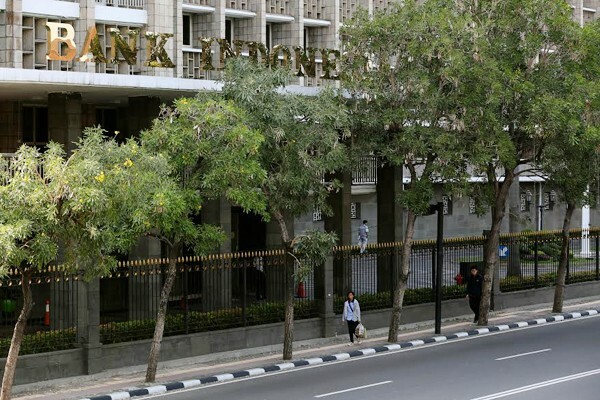 Bank Indonesia has announced that the current account deficit increased to US$31.1 billion, 2.98 percent of gross domestic product (GDP), in 2018 from the previous year, which stood at $17.29 billion, 1.7 percent of GDP. “The current account deficit was still within safe limits, amounting to $31.1 billion or 2.98 percent of GDP,” said BI spokesman Agusman over the weekend in a statement. The current account deficit saw a jump in the fourth quarter of 2018 at $9.1 billion (3.57 percent of GDP), higher than the deficit in the previous quarter of $8.6 billion, 3.28 percent of GDP, said Agusman. “The increase in the current account deficit was affected by a decline in non-oil and gas trade, owing to high imports in line with domestic demand, which was still strong amid limited export performance,” he added. However, a surplus of US$5.4 billion was recorded in balance of payments in the fourth quarter of 2018 after suffering from deficits in previous quarters, according to the central bank. Agusman said the surplus was supported by an increase in the capital and financial account surplus, which reflected strong investor confidence. “The capital and financial account surplus was recorded at $15.7 billion, a significant increase from the surplus in the previous quarter of $3.9 billion,” he said. He said the increase was mainly supported by improved portfolio investment performance, in line with a surge in foreign capital inflows.